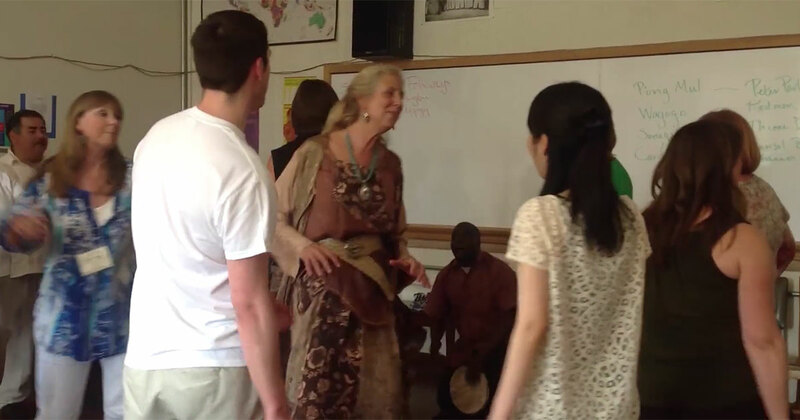 The Smithsonian Folkways Certification in World Music Pedagogy workshop is a rich and active exploration of the music of many cultures along with pedagogical discussions, resource examination, and practice in teaching. We will learn musical cultures through song, movement, and instrumental experiences. We will examine the various pedagogical issues involved in learning and teaching music of many cultures and discuss applications for various teaching contexts. We will explore the recordings and curricular materials available in the Smithsonian Folkways collections. Audio, video, print, electronic, and human resources will be sampled in this intensive course, with the aim of learning music and developing ways to teach music of the world’s cultures. A final pedagogical project will be completed for participants to earn Smithsonian Folkways Certificate in World Music Pedagogy.